As published in Inquirer January 4, 2015. So happy to welcome the New Year with gratitude in my heart for the many blessings in 2014. Thankful as well for the calorific and cholesterol-laden food gifts, as these were the most delicious ones! Interestingly, while one would think that the most delicious food gifts would come from chefs and restaurateurs, in fact, some of the best “foodies” are businessmen and politicians. Some of the best gourmet gifts are not expensive wines or chocolate but curious finds from the gifters’ own communities. Here are a few remarkable ones. Corporate finance genius Jaime Panganiban is not only known in finance circles for his brilliance in mergers and acquisitions, fund and risk management, and investment strategy. He is also known to be an avid golfer and a wine aficionado. 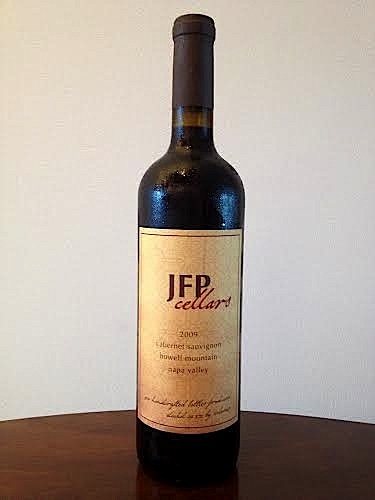 So into wines is he that he went through the process of creating his own label, JFP Cellars. He started with bottles from Napa Valley: a 2009 vintage that is 95 percent Cabernet Sauvignon. He had this blend created to his liking and later, a few barrels were produced, bottled and shipped to Manila. This is purely for his personal appreciation, although every now and then he gives a bottle to friends and family. Right now, he is working on another 2009 vintage, but this time from the Bordeaux region. He hopes to be able to produce this in 2015 and he will name it after his newborn grandson, Jaime Ricardo, born Dec. 12, 2014. I, however, love everything that they hate about it: The fact that it is dense, packed with candied fruits and aged with rum. Lissa Sobrepeña, wife of Fil-Estate chair Bob Sobrepeña, makes the best fruitcake ever and, while not for sale, has packaged it as “Fruited Bliss Cake.” As mentioned in last Wednesday’s Biz Buzz, the family has been gifting this to friends and family for the last 32 years and she has perfected the recipe. One of the reasons why it is so good is that Lissa does not scrimp on ingredients. For nuts, she uses pecans and walnuts. For raisins, she uses dark, golden and crimson raisins. 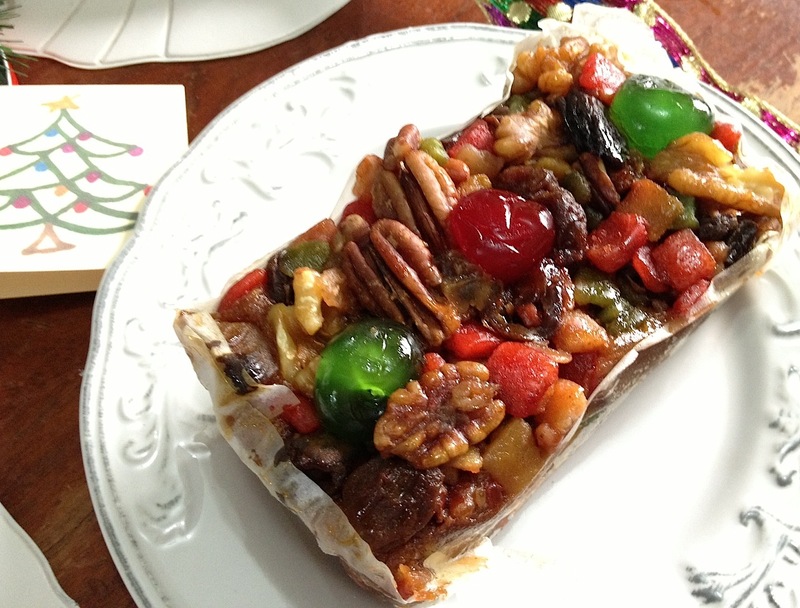 And to bejewel the fruitcake: Dried apricots, cranberries, dates as well as candied red and green cherries (the green cherries are truly blissful!). This fruitcake is also not aged with rum but with brandy, resulting in an incomparable depth of flavor. It will truly put you in a state of bliss! Liza Marcos is known as the “better half” of Senator Bongbong Marcos. But, while a priceless catch, she is no trophy wife. In fact, she leads (at least by way of spelling, in case the other partners argue) the law firm MOST (Marcos, Ochoa, Serapio, Tan). A spritely, charming, effervescent lady, she is also quite the gourmet, annually gifting friends with food finds from Ilocos. One year, it was a jar of Ilocos salt. Recently, it’s been coffee from the family farm. Called Cafe Cacho (her mother’s maiden name is Milagros Cacho), it is 100-percent mountain-grown Arabica coffee. Some of the best coffee beans in the country come from the Ilocos and Cordillera regions and this one from their own farm is a sip of sunshine that is sure to make you wake up to a good morning this New Year! Aside from being in public service, the Ejercitos are known for their fine taste in food. Doña Mary Ejercito (mom of former President and Manila Mayor Joseph Estrada) was a known home cook and pastry chef in Manila society, even making the wedding cake for the daughter of the late President Elpidio Quirino. The former president is known for cooking a mean bacalao and the adobo from No. 1 Polk Street can compete with the best in the country. As the former mayor of San Juan who brought the municipality to cityhood, Senator JV Ejercito sure knows the best food finds in the area. One of these is an awesome chicken kinulob simply labeled as “Kinulob na Manok by JC’s mom.” It is a whole chicken whose flavors seemed to have seeped even into the meat. It was actually Tricia Tensuan, vice president for Admissions of Enderun Colleges, who first told me what chicken kinulob is all about. 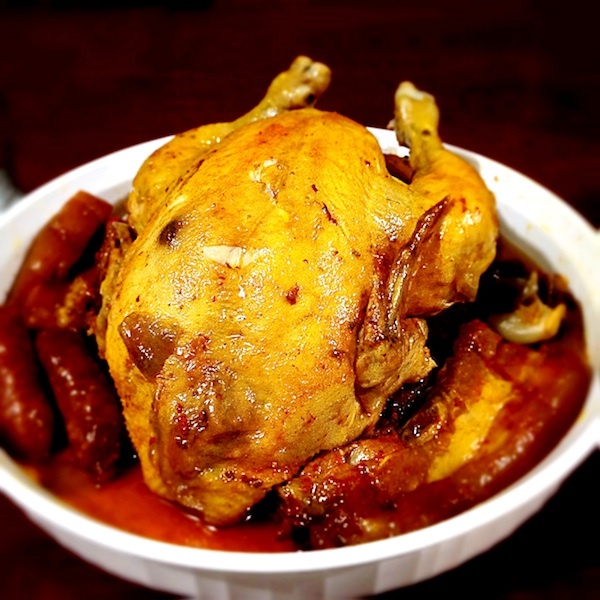 The kinulob from Senator JV via “JC’s Mom” has the chicken already sitting on the sauce, with chorizo and pork on the side, too, for added flavor. It is truly something to look forward to every Christmas. Mike Toledo is now the not-so-secret weapon for communications of Manny Pangilinan’s MVP Group of Companies. But his secret weapon is a dose of sweetness: Pili Tarts. For several years, he has been gifting friends and family with what he calls “the best pili tarts in the galaxy!” Note that while the best pili tarts in the Philippines are from Bicol, the best “in the galaxy” are from Mike Toledo. Felice Prudente Sta. Maria is not only an author, she is also an advocate for the preservation and promotion of our cultural heritage. A Gawad Alab ng Haraya Awardee, she has championed the need for professionalization in museum work. As an author, her research is intensive and exhaustive and her books are always a great source of information and valued tribute to our heritage. My personal favorite is “The Governor General’s Kitchen,” which I find myself constantly referencing in my articles. A couple of years ago, I received a copy of her paperback on Rizal’s life as a foodie entitled “The Foods of Jose Rizal,” an easy read that will make you realize that Rizal is not just a statue but also a person who also went through life’s struggles and, well, ate like the rest of us! Last year, I received a very practical book by her, “A Cultural Worker’s First Manual,” a 2001 publication. It is not for the “cultural worker” alone but also for all lovers of culture and protectors of heritage. It advocates the preservation of museums and other cultural and heritage sites, and stresses the role of leaders and citizens in addressing this monumental challenge. This New Year, as we look forward, let us not forget to look back as well and honor the very things that define our culture and nation. It’s a great gift to pass on. Published by Anvil, it is very affordable, too. Another tireless advocate is Chit Juan of EchoStore. She goes around the country to find and help promote local farmers, especially coffee farmers. Last year, she brought to our awareness coffee from Mt. Kitanglad, Bukidnon. What a great feeling to get your dose of caffeine and support a farmer, too. Another person supporting local farmers is the indefatigable undersecretary Berna Romulo Puyat of the Department of Agriculture. 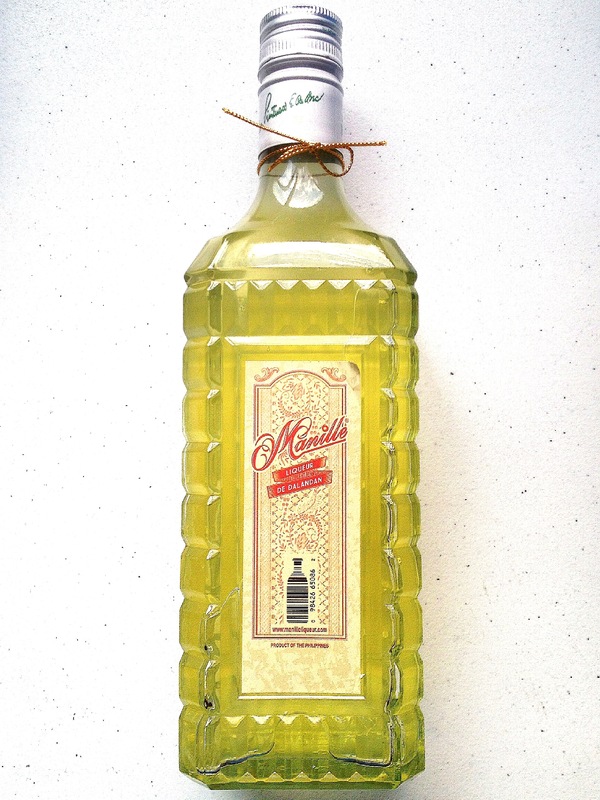 One of the products she has been supporting is local liqueur label Manille. It is produced and bottled by Destileria Limtuaco but Usec. Berna was instrumental in pointing the company to Mindoro calamansi farmers as a source of calamansi rinds. Aside from supporting Mindoreño calamansi farmers, the Department of Agriculture also linked up Destileria Limtuaco with Mangyan tribes from Mindoro Oriental. They have become involved in the processing of the liqueur, using a hand-pressing method so as not to damage the calamansi rinds. Destileria then purchases the rinds at a price equivalent to the whole fruit and some of the proceeds help finance a Mangyan Center for Learning and Development that seeks to educate the children of over 20 tribes in Mindoro and to preserve the Mangyan culture and language. When you want to experience the best food products of a Philippine city or province, ask its local government head or representative. It is a lucky day when you receive Dagupan bangus from Rep. Gina de Venecia. This bangus has so much taba! It is an even luckier day if you get Puerto Princesa lobster from former Mayor Ed Hagedorn. So fresh and juicy! So you see, the best gifts will not necessarily cost you a fortune. Other great gift products are the artisan vinegar (suka) by Claude and Mary Ann Tayag, sold at Bale Dutung in Pampanga; maliputo, a freshwater fish, from Taal; and my gift of choice this Christmas, full back fat chicharon from Sta. Maria, Bulacan. To tweak Tourism Secretary Mon Jimenez’ line: It’s not only more fun in the Philippines, it is more delicious, too! May 2015 be another delicious year of exceptional food finds … Happy New Year!